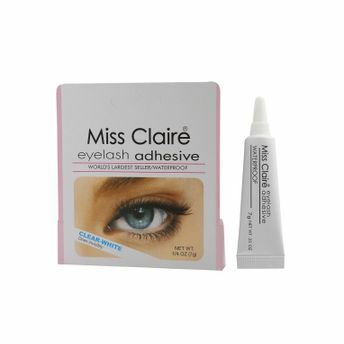 Miss Claire Eyelash Adhesive is formulated for Long lasting eye lash wear. Your falsies will stay on securely all day. This adhesive is clear white, waterproof and dries invisibily. Explore the entire range of False Eyelashes available on Nykaa. Shop more Miss Claire products here.You can browse through the complete world of Miss Claire False Eyelashes .